3oz-Heavy Duty Paper Cold Containers are sturdy disposable containers printed in Hi-Definition 1 or 2 color with a high-gloss finish creating economical promotions that make a great impression. 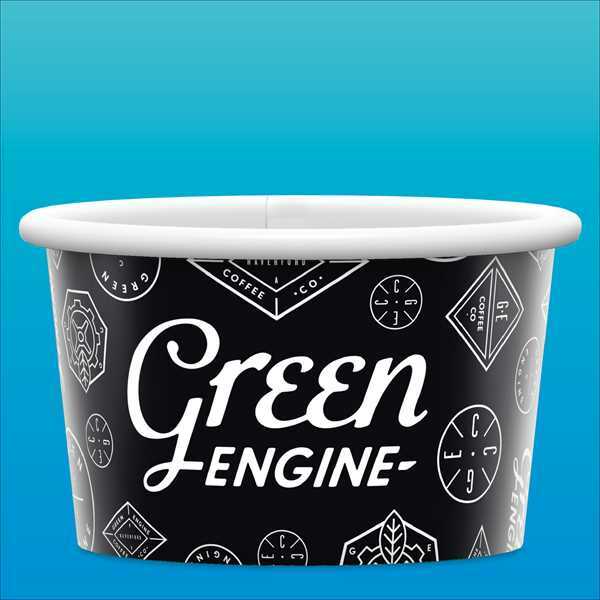 BASIC 1:2™paper containers are great for cold products like ice cream and frozen yogurt. Also use for promotional kits, desserts cups, deli containers, packaging, and popcorn-any time you need an effective, economical container. Made in the USA using USA made materials. Price Includes:1-Color Offset Lithography Imprint.